The human body maintains a delicate balance of elements that serve specific purposes and serious medical complications can arise when that balance is thrown off. One of the more serious complications that have been associated with Stryker Rejuvenate and ABG II hip replacements is metal toxicity, also referred to as metalosis. The cause of metallosis is the absorption of unhealthy quantities of metals into the blood stream that are used in the components of the hips. Stryker’s products have been known to poison patients when metal parts that are touching each create small splinters that damage surrounding tissue and enter the blood stream. When left unchecked, metal toxicity can cause serious long term complications or death. It is important to monitor these symptoms in order to detect metalosis before it causes serious harm. Inflammation at the site of the hip implant or surrounding areas. Swelling may also accompany signs of an infection. Partial or complete loss of vision or hearing may be the result of metalosis. Early signs of metalosis may include blurred vision accompanied by headaches as well as the sudden loss of hearing. Metalosis can cause hypothyroidism, which is evident by sudden fatigue, weight gain and inability to maintain body temperature or feeling flush. Cardiovascular problems are common in patients with metalosis as are neurological disorders. Necrosis, or the death of tissue surrounding the site of the implant, may also result from metal toxicity. Stryker implants contain parts made with cobalt and chromium— both of which are toxic when absorbed into the blood stream. There are several ways that these metals make it into the blood stream from the implant but the most common is corrosion. As the metal pieces grind against each other, metal ions are released into the area and make their way into the blood and surrounding tissue. 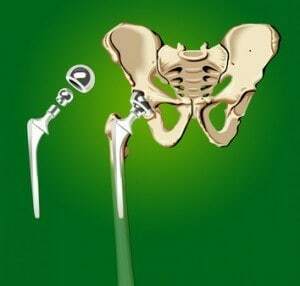 Not only do these metals pose a serious health risk to patients but it is proven that they also cause additional pain and suffering in patients who undergo hip revision surgeries in order to remove the defective devices. This is likely due to inflammation, necrosis and infection in the joint caused by the metal poisoning. Metallosis makes it impossible in some cases to perform a hip revision surgery without first performing an operation to scrape away any infected and dead tissue. More severe cases may even require the removal of bone matter before a new hip replacement can be implanted. If you or a loved one has suffered at the hand of defective Stryker hip implants or a recalled Zimmer Kinective hip, Rosenfeld Injury Lawyers LLC are here to fight on your behalf against a company that has negatively impacted the lives of many people due to its negligence. Each and every case is important to us and we will continue tirelessly to force Stryker to provide the victims of its defective products with the compensation that they are entitled to. Call or email us today and we will schedule a free consultation so that we can give your case the attention that it deserves and let you know exactly what to expect. Our experience in this type of litigation gives us the confidence to assure you that we will never ask for payment unless we win or settle your case.